Make certain your referents are clear. Remember that your reader is not as close to the research or the writing you’ve been doing. When you write “this theory,” “that point” or refer to an “it,” is it clear to which theory, point, or “it” you’re referring? When you use “he,” “she,” or “the critics,” consider whether your reader will have to pause to try to figure out the answer to the question: who are these people? The infamous “this.” As in: I will elaborate on “this” later. As writers, we often throw the word “this” around when we’re not entirely sure what aspect of our argument we want to draw our readers’ attention to, especially when making a complex argument with multiple elements. Occasionally, vague language can be a symptom of confused thinking. Stop and ask yourself, what does “this” refer to? What words could I replace “this” with that would clarify your intention to the reader? If you can’t answer easily, go back to what you’ve already written and clarify your ideas in that section. Remember, it is impossible for your readers to understand what you mean when you don’t understand yourself. Never write “that” when referring to a person: As in: “The man that discovered numerous uses for…” or “The author that she referred to first wrote on the subject of bee pollination.” The man and the author referred to are people, not objects, and it’s rather insulting to call them “that,” not to mention completely grammatically wrong. Use who or whom, such as: “The man who discovered numerous uses for…” and “The author to whom she was referring….” Unsure of whether to use who or whom? Read on to the next section. A tip for learning the rules. Although all this grammar stuff may seem challenging and like there’s way too much to learn, learning the rules once and for all will help you write freely and intelligently. To help with this task, try starting a text file in which you list the rules you need help with and refer to it when you write. I have done this numerous times as an editor. The best part is that you can add new information to your file any time you come across it. You can look rules up in numerous style manuals or on various sources available on the Internet. Just be sure your sources are legitimate and actually know what they’re talking about. One way to figure out whether your source is legitimate is to see who published it. Usually anything published by a university or college can be considered pretty reliable. You can also always consult with your friendly neighborhood editor. I recently came across an incredibly fun and useful resource for answers to any number of questions regarding language, grammar, etymology, writing, and more. This invaluable resource is provided by none other than the prestigious Oxford University Press and is called, quite appropriately, AskOxford.com. This monstrous “word” is only one example of a rather enlightening, detailed look into the many possible answers to this question. I stumbled on the site during a google search for the etymology of the phrase “the bee’s knees,” to which they certainly do have the answer. As a professional freelance editor, proofreader, and writer, I believe there is nothing more important than expressing your thoughts clearly. If you’re in need of an editor or writer, you can contact me at expert.editing.service@gmail.com and I’ll happily provide you with the expert editing or writing help you deserve. From MA theses, PhD dissertations, and undergraduate compositions to essays for admittance (college and grad level) and creative or business projects, I have the experience to take it from good to stellar and from not so good to fabulous. During my career, I have had the opportunity to work for a number of incredible institutions, both freelance and as a full-time staff member. Among them are So To Speak, a small literary journal advocating feminist art and writing; Heldref Publications, a nonprofit publisher of scholarly journals and magazines in Washington, DC; and Sage Publications, one of the largest publishers of scholarly journals. I have a BA in Liberal Arts (Literature) from Penn State University and an MA in Literature from George Mason University. 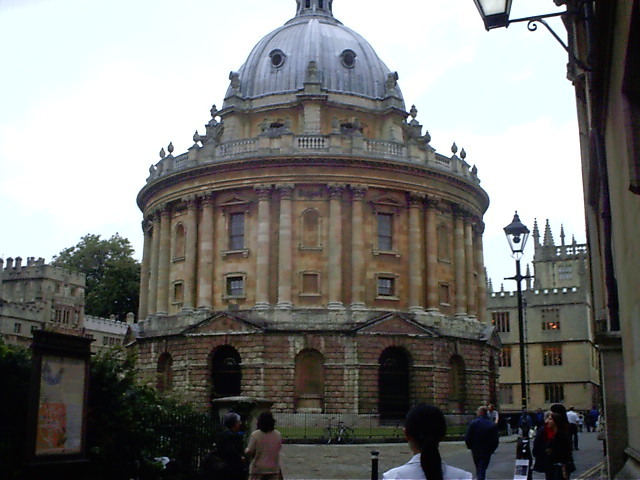 In addition, I’ve studied at Cambridge University, England, as part of my degree from GMU. Through these opportunities, I’ve had extensive independant research and academic writing and editing experience in MLA, APA, and Chicago styles. I have considerable interest and academic work in cultural studies, women’s studies, postcolonial literature, and editing. Outside of my personal interests, I have edited many types of articles, theses, and dissertations (e.g., scientific, humanities, and law) as well as books, Web content, guides, newsletters, catalog copy, advertisements, and more. My writing experience includes guides, Web content (including blog posts, reviews, and travel writing), academic research papers, catalog copy, and more. I offer extremely competitive rates and lightening-fast turnaround (depending on your needs, of course). I also have experience working with particularly sensitive documents, so you can rest assured that your documents will remain completely confidential. I recently stumbled on an article in the Guardian called Ten rules for writing fiction. The article was inspired by Elmore Leonard, an American novelist who writes westerns, crime fiction, and suspense thrillers, and whose work has been acclaimed for its realism and strong dialogue. You can find his complete guide of the same name here. The Guardian article begins with Leonard’s rules and includes those of many other notable writers, such as Diana Athill, Margaret Atwood, Roddy Doyle, Helen Dunmore, Geoff Dyer, Anne Enright, Richard Ford, Jonathan Franzen, Esther Freud, Neil Gaiman, David Hare, P.D. James, and A.L. Kennedy. I highly recommend reading everyone’s lists; they are useful, accurate, and at times, hilarious. You won’t be disappointed. As a professional freelance editor, proofreader, and writer, I believe there is nothing more important than expressing your thoughts clearly. If you’re in need of an editor or writer, you can contact me at expert.editing.service@gmail.com and I’ll happily provide you with the expert editing or writing you deserve. From MA theses, PhD dissertations, and undergraduate compositions to essays for admittance (college and grad level) and creative or business projects, I have the experience to take it from good to stellar and from not so good to fabulous. Through these opportunities, I’ve had extensive independant research and academic writing and editing experience in MLA, APA, and Chicago styles. I have considerable interest and academic work in cultural studies, women’s studies, postcolonial literature, and editing. Outside of my personal interests, I have edited many types of articles, theses, and dissertations(e.g., scientific, humanities, and law) as well as books, Web content, guides, newsletters, catalog copy, advertisements, and more. My writing experience includes guides, Web content (including blog posts, reviews, and travel writing), academic research papers, catalog copy, and more. The American Psychological Association has a new edition of their Publication Manual available. This new edition is the sixth edition of the manual and details regarding it can be found on the APA Web site. If you have not yet seen the sixth edition, it is worth taking a look at the site, which includes the option to “look inside” the new book at the table of contents and introduction. Also included are chapter descriptions for all eight chapters and a summary of what is new in the sixth edition. Accompanying the sixth edition is a new tutorial designed for those with no prior knowledge of APA style. I have to say, I love the new colors! The importance of good writing skills is evident no matter what your profession, as I noted in an earlier post. So how does one go about improving those skills? I’ve gathered some invaluable tips, which I learned through experience and which other professionals have taught me, with accompanying complementary links from around the Internet. 1. Read often and read everything. The more you read, the more you learn; the larger and stronger your vocabulary; the more you will begin to pick up on the basics of what good writing looks like as well as distinguish the good from the bad. 2. Revision, revision, revision. Whether you’re writing a business report, a work-related memo, a novel, or a poem, revision is your friend. Most great writers are great writers because they spend countless hours revising and continually improving their work. 4. Join a group or take a class. Online courses are more readily available than ever, so you may not even have to leave your house to learn to write better. You can also always check out the course schedule at your local community college. 5. Proofread. Before you sign off on anything, whether it is a paper for school, a job application, or a blog post, be sure to proofread. Even if you have already revised several times and you think the document is perfect, proofread. By this I mean, do more than just scan for obvious errors; look closely for correct spelling, word usage, and grammar. If possible, have someone who knows writing well proofread for you because even an excellent writer may not catch obvious mistakes because he or she is too close to (i.e., already spent too much time with) the work in question. Of course, if you feel you already write well but have an all important piece that must be perfect, you can always hire a professional editor/proofreader!